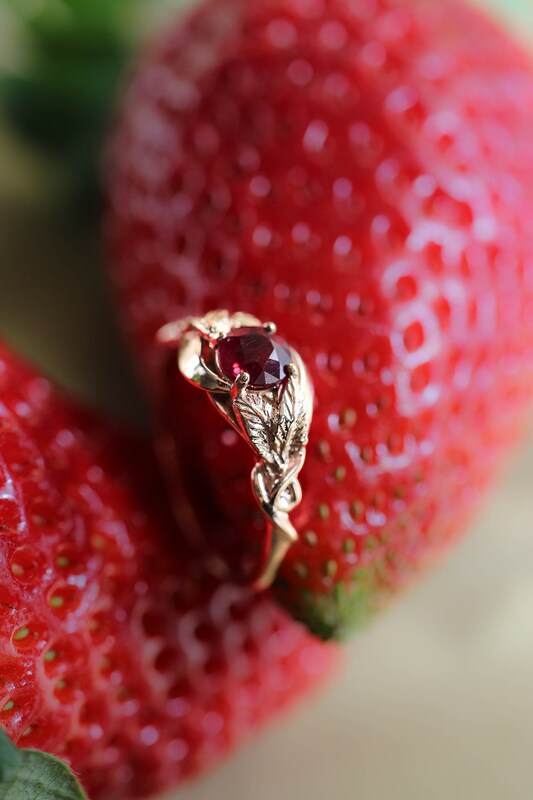 This beautiful genuine ruby engagement ring made of rose gold looks really delicate and charming. 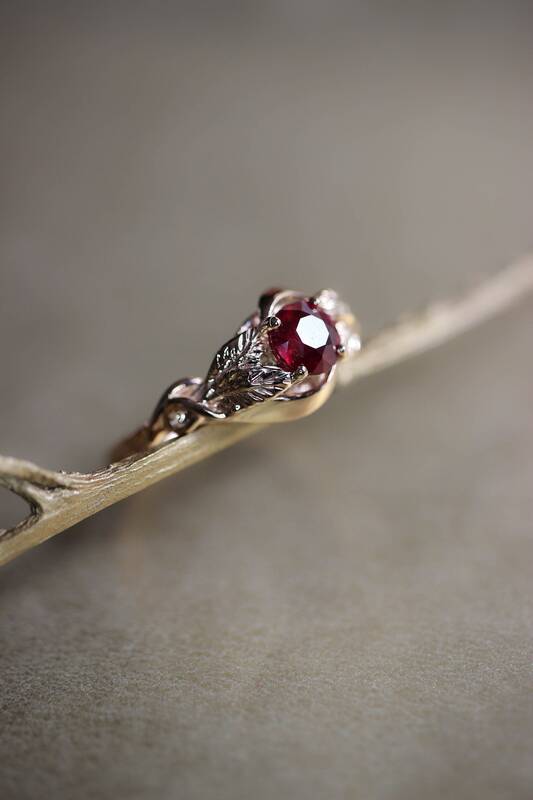 Our unique nature engagement rings may be as well an exquisite and unique gift for your wife, bride, girlfriend or any other special woman in your life. 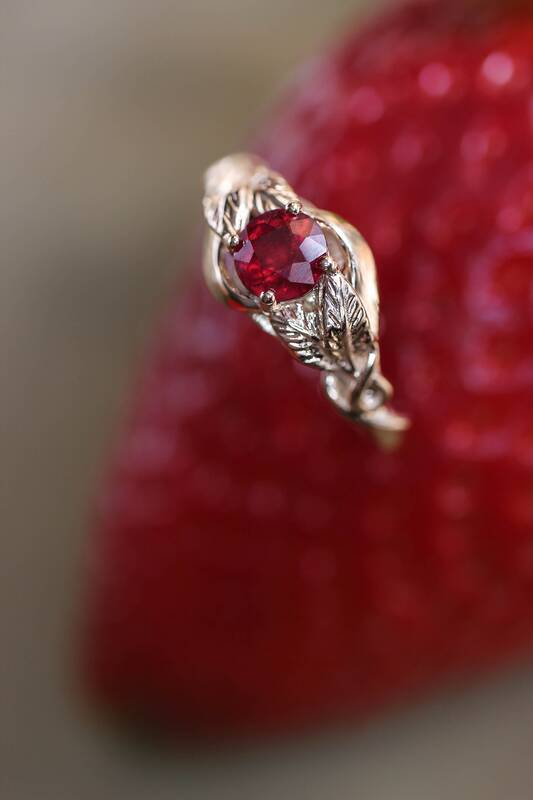 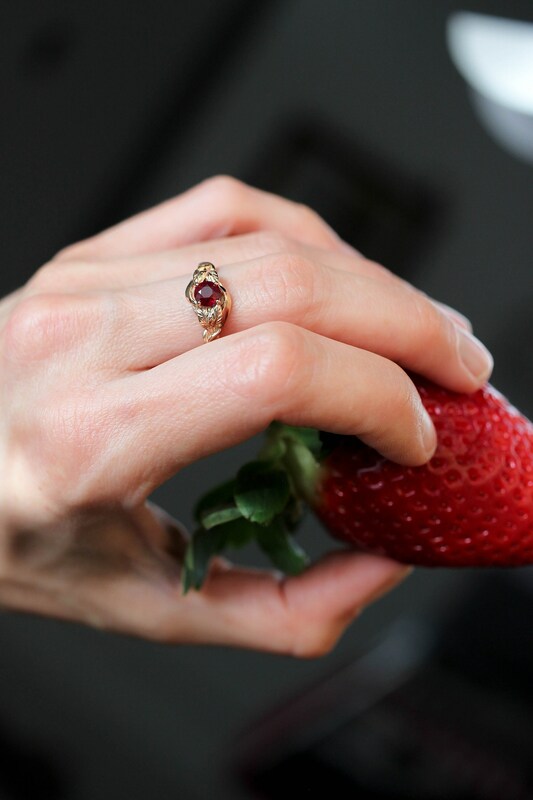 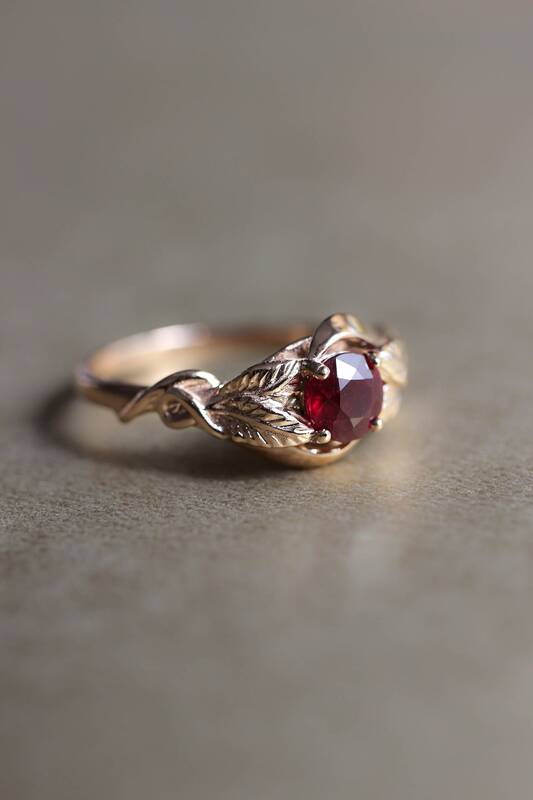 Gold leaf ring is handmade from solid 14K rose gold and adorned with natural ruby (5 mm, around 0.8 ct). 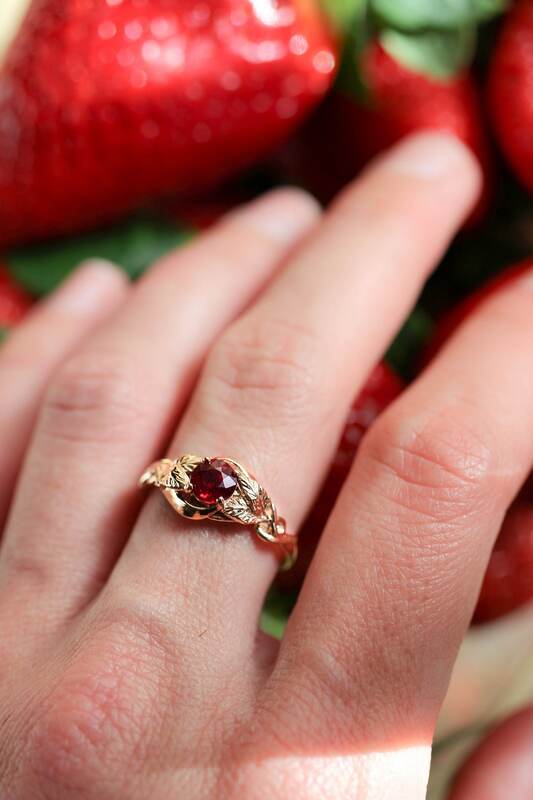 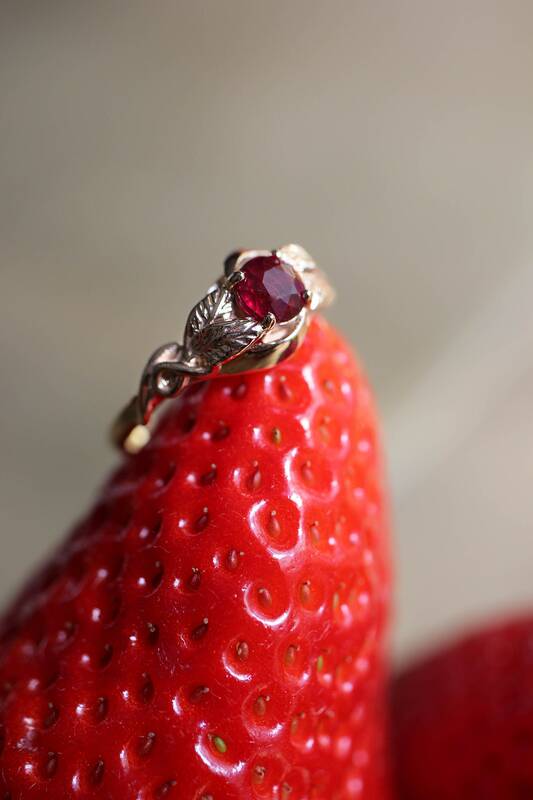 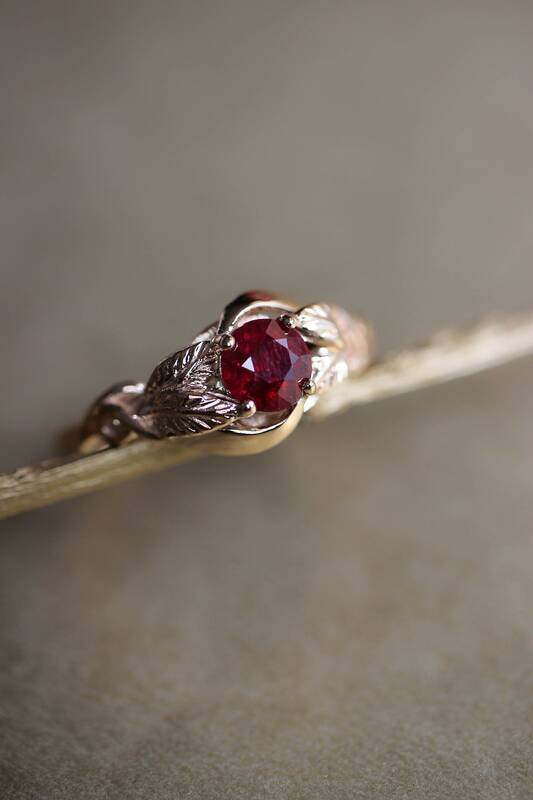 Wedding gold ring features a botanical design with detailed gentle leaves skilfully wrapped around red gemstone. 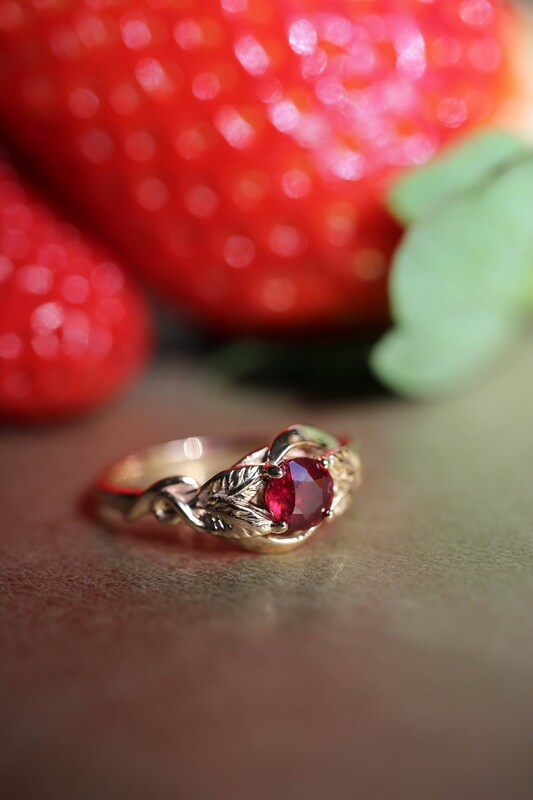 Perfect gift for nature lovers. 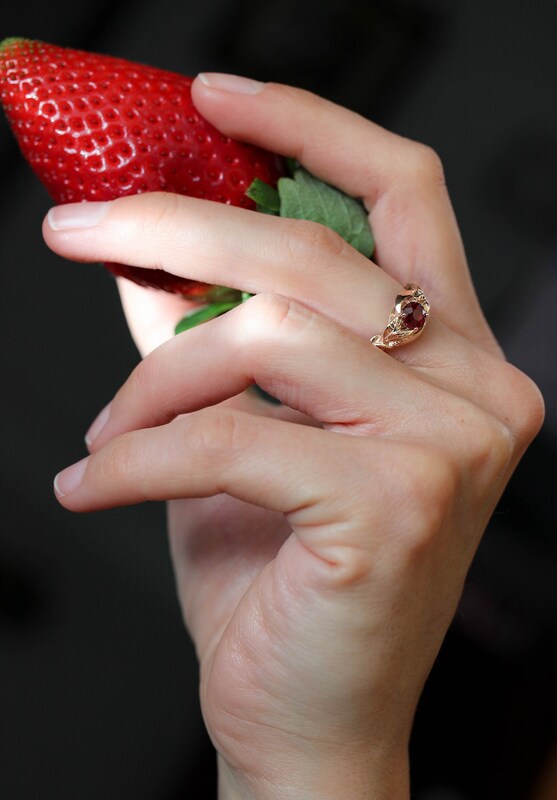 Gold weight: about 5 grams.